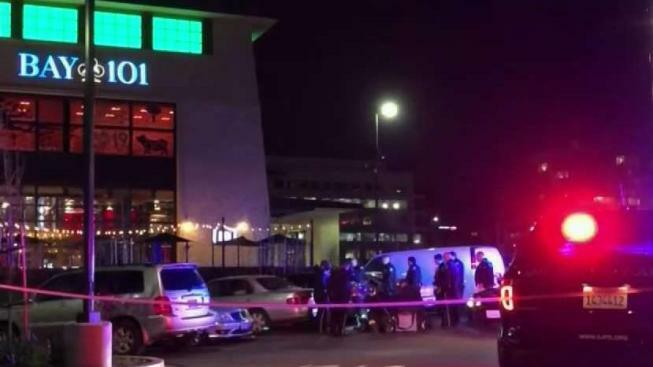 A man was left with non life-threatening injuries Tuesday following a shooting near the Bay 101 Casino parking lot in San Jose. Kris Sanchez reports. A man was left with non life-threatening injuries Tuesday following a shooting near the Bay 101 Casino parking lot in San Jose. The California Highway Patrol and San Jose Police Department responded to the scene near Highway 101 around 11 p.m. According to police, the victim was shot driving back from a drug transaction in East Palo Alto. He was transported to the hospital with a gunshot wound to the leg.